People have been throwing zucchini into baked goods for years, and honestly I cannot blame them one bit. It's an added way to eat some veggies without being able to taste said veggies at all. We love to make muffins around here because they are easy to grab on the go and do the whole portioning thing for us. 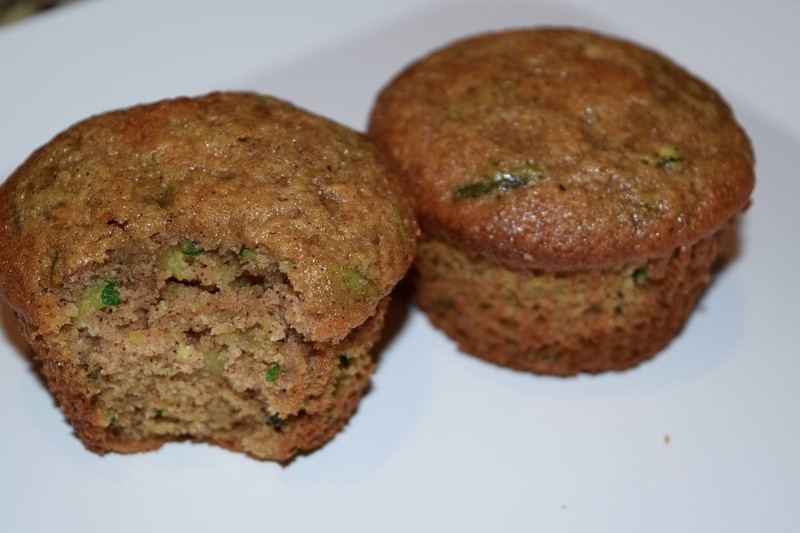 Parker was a little (read: a lot) skeptical when he saw the green flakes of zucchini in these muffins, but I told him to just take a bite and give them a try. After one bite, I believe his exact words were "Okay never mind, they are good". Gee, thanks. Seriously though, he proceeded to eat 3 in one sitting, and the whole batch was finished soon after. We love these muffins! 1. Preheat oven to 350 degrees and line a muffin tin with muffin cups. 2. In a large bowl, beat eggs, vegetable oil, apple sauce, sugars, and vanilla extract together. 3. Add in flour, baking powder, baking soda, cinnamon, salt, and nutmeg and mix well. 4. Fold in zucchini and stir until fully combined. 5. 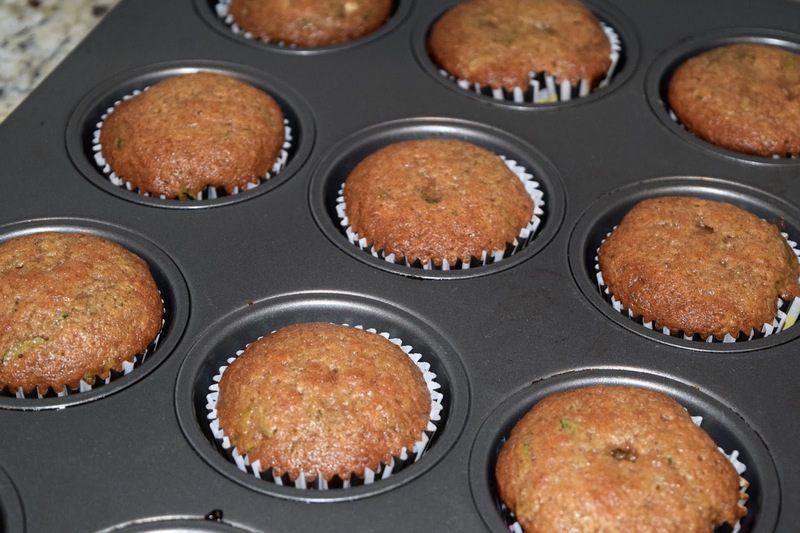 Fill muffin cups 1/2 way full with batter and bake 15-18 minutes or until an inserted toothpick comes out clean. I'm a zucchini lover. Fried, baked, sautéed, and in bread and muffins! These look delish! cinnamon anything is a favorite of mine! I love anything with cinnamon in it, so good! Yum, I love things with cinnamon. Mmmmmmm. These looks really good! sounds delicious. I wonder if I could sub rice or almond flour?